Frank Pellow’s a one-man publishing house in FamilyWoodworking.org. We write about his work regularly in the ToolCrib blog because he’s so clear and specific in documenting his work, and so eager to share his ideas with other woodworkers. 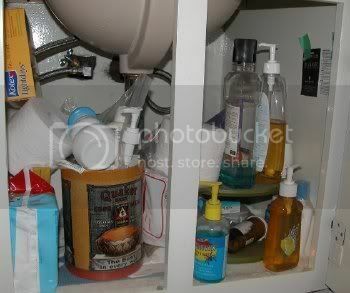 Recently Frank faced a problem that many of us just shut away behind closed doors – under-sink clutter. Can you say CLUTTER BUSTER???!!! That’s AWESOME FRANK! 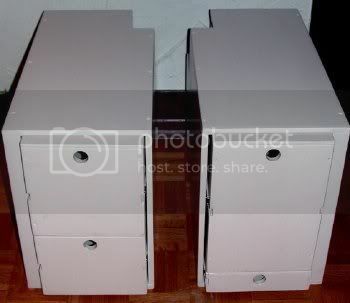 Visit his thread in FamilyWoodworking: Building drawers for a crowded under-sink cabinet to learn more about his technique and process. If you have any questions post them in the thread at Family Woodworking or here in this post. « Woodworking Skill vs. Power Tool Quality: Which is More Important? Wow! That’s superb. 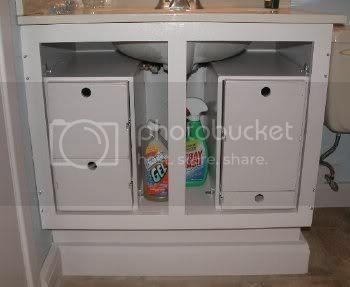 I have been thinking of doing shelving for underneath my sink for some time now, but this would suit my area much better. Thanks!